The setting by Maurice Duruflé of the Requiem Mass (Mass for the Dead) dates from 1947. 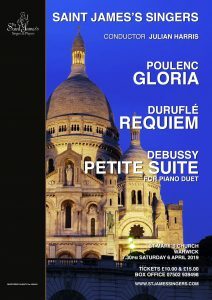 Unlike the apocalyptic settings of the Requiem Mass by Berlioz and Verdi, Duruflé’s is more akin to Fauré’s familiar setting in its sense of serene optimism. This is due in no small part to the use of original Gregorian plainsong melodies which imbues the setting with a distinctly archaic feeling offset by the contemporary idiom of the accompaniment. 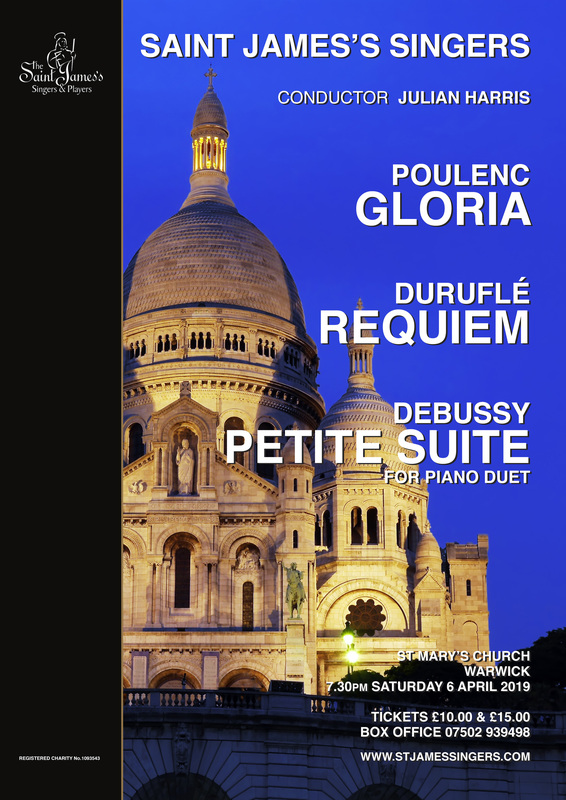 Francis Poulenc’s Gloria was commissioned by the Koussevitzky Foundation of the Library of Congress, Washington, DC and premiered in Boston in 1961. The familiar liturgical words are given a setting that abounds in joy, yet is always sincere and humble. This lovable work has justly become popular with singers and audiences alike.